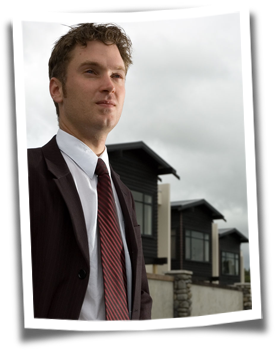 Finding the right real estate agent to sell your home is a primary step which must be conducted with due diligence. You should base your decision on cold, hard facts, and not any hype or spin that you may be subjected to. Knowledgeable about the current market dynamics in your local area and familiar with all the comparables. Has been a professional realtor in the community for years and is well-recognized, reputable and respected. Engages buyers and has extensive lists of potential purchasers. Is well connected with the best legal and financial professionals as well as appraisers, home inspectors and the other experts in your area involved in the real estate transaction. Markets aggressively but not in a blatant over-spending manner: In real estate it's better to buy the right advertising than the biggest. Empathizes with your needs as to what your preferences and requirements are. Is realistic about pricing and sale expectations: You may find the right realtor is the one who does not quote you the highest expected sale price. Has an encyclopaedic comprehension of financial and legal issues to help steer you through the real estate minefield. Consults with you on ways to economically improve your home to make it more appealing to buyers. Is a superlative and skilled negotiator in order to best represent your interests at every step of the transaction. Does not hesitate to tell you what you might not want to hear, as long as it is based on undeniable facts. Is willing to go through the process of qualifying buyers to ensure that no time-waster offers are tendered. Understands that the commission is going to be sizeable and therefore has to be motivated to make themselves available when you need them to handle whatever issues come up. When you locate such an agent you can now rest assured that you have taken care of the single most important factor in ensuring that the entire property transaction goes smoothly from start to finish.